Dennis Wesley Clark volunteered for Vietnam in 1969. He ended up fighting the North Vietnamese Army along the Demilitarized Zone separating North and South Vietnam. The Punta Gorda resident had already spent two years as a Mormon missionary in South America. Before going to Vietnam he attended Non Commissioned Officers School where he did well and graduated as a Staff Sergeant, an E-6, during his first year of college. “My first unit in Vietnam, 6 of the 33rd, was a 105 millimeter self-propelled howitzer outfit,” the 63-year-old former Army sergeant explained. “The unit was located at Con Thien, along the DMZ. “Every day at this base you got shot at or you shot at someone. We were a small artillery unit with six 105 howitzers that supported the 3rd Marine Division at their northern-most base along the DMZ,” he said. That’s when Army life for the 22-year-old soldier began to get a little more dicey. “From my new base you could look north into North Vietnam. You could look east and see out toward the sand dunes. You could look south and you’d see rolling plains. You could look west and see foot hills,” he explained. “When I arrived at my new unit I was made sergeant of the lead gun because of my rank and experience. Mine was the registration gun for the unit and I was the NCO in charge,” Clark said. “A few days later I was made Chief of Firing Battery (NCO in charge of all six guns). Con Thien was a dangerous place. “I was relaying the guns and getting them into position one night about chow time. I finished up and was headed for the chow line when an RPG (Rocket Propelled Grenade) landed between the legs of the tripod for the aiming circle I had been using,” he said. “It tossed me 20 feet in the air. I landed up against the bunker for the medics and the water trailer. Everything around me had holes in it from shrapnel caused by the RPG. The bunker was leaking sand and water from the water trailer was pouring on me. “At first they thought I was dead. I stood up, brushed myself off and realized I had a horrible headache. I got no medal for this. I just stood up and went back to work,” Clark said. “A while later the Marine infantry was fighting a big battle with the NVA on the plain to the south of us. The enemy stationed a sniper on a hill to harass the artillery,” he said. “I noticed the smoke and dust kicking up from the rounds he was firing at us. I knew exactly where the sniper was so I helped re-aim the gun. “I sent him a direct fire air burst. What you did was determine how many seconds before the round reached the target. I used a time charge to burst right in front of him. All six of our 105s fired and neutralized him. What’s fair is fair,” Clark grinned. “One night we spotted the enemy trying to penetrate our perimeter. Being the senior NCO I coordinated the attack,” he said. “I positioned two M-60 machine-guns on the flanks. I wanted them to make a wall on each side so none of the enemy could sneak out. Then I ordered the two guns on the perimeter to use beehive, 8,000 flashes per round. The two middle guns were to blanket the enemy with firecracker that produced 18 grenades per round that bounced up chest-high and exploded. One back gun would close the back door with a wall of hot steel with air bursts of high explosives. The final gun was to provide illumination behind the enemy,” Clark said. “We did about five minutes of continuous fire. Then I backed off and had all six guns lob high explosive rounds in on them. And the two machine-guns raked the area,” he said. 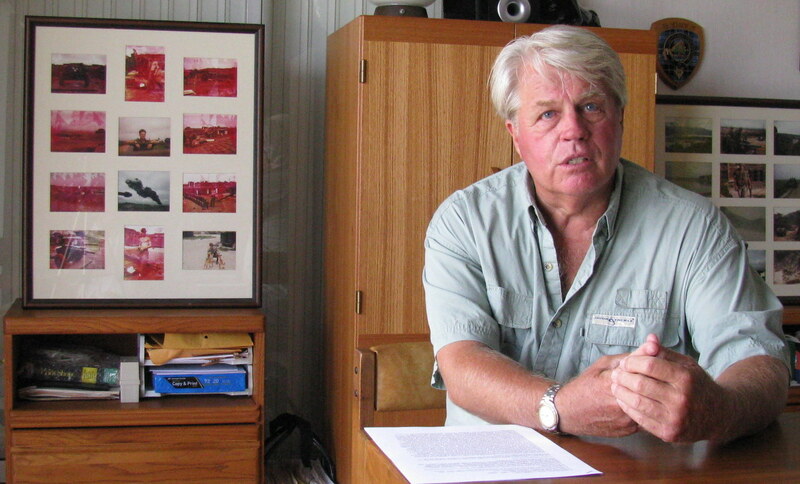 “When it was all over, all 90 NVA soldiers were dead. Not one of my guys got a scratch. He decided to forgo the commission and was reassigned to a new unit, the 1st of the 44th as a tactical combat advisor. This outfit had an improvised assortment of equipment that proved lethal to the enemy. They were equipped with twin-40 millimeter anti-aircraft guns mounted on a M-48 tank chassis and used as a ground-to-ground artillery piece. They called the rig a “Duster.” They also mounted quad .50 caliber machine-guns on the back of a deuce-and-a-half Army truck. 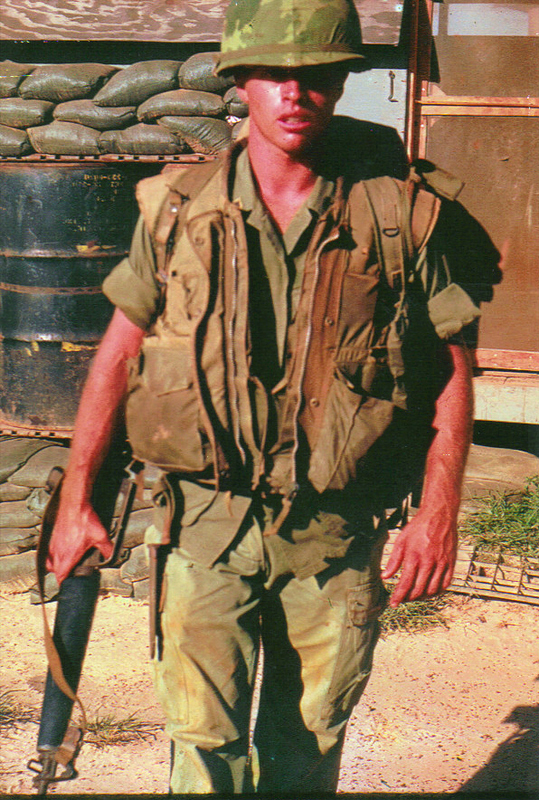 When intelligence indicated the VC or NVA were on the verge of attacking a particular outpost, Clark and his troopers were sent to the scene to help units about to face the enemy. After a year and a day in Vietnam he completed his tour of duty and was headed home. When he arrived back in the San Francisco area in September 1970, where he grew up, the reception from the public was anything but friendly to soldiers returning from war. 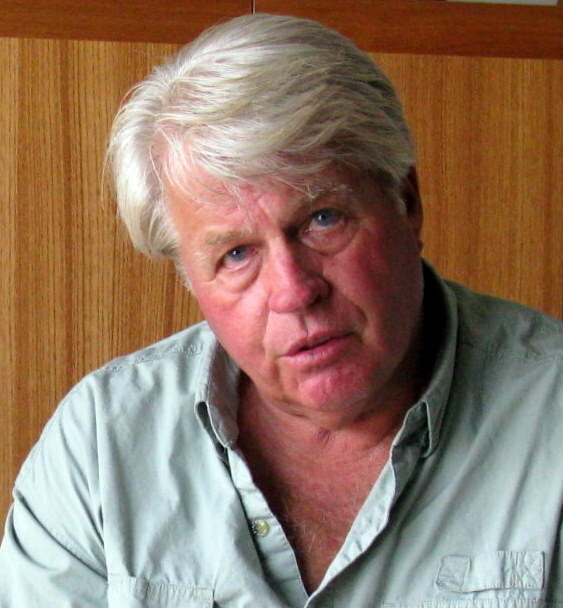 He graduated from Brigham Young University in 1973 with a BS in Business Administration and Finance. Four years later he received an MBA from the University of Tampa. In 1980 he went to work for Hughes Aircraft Company as operations control manager, a position he held for 15 years. Then he became East Coast Manager of Western Data Systems in 1995 that produced software for complex manufacturing operations. Since moving to Punta Gorda he has become a writer. Clark has two novels published. His first book is Hard Way Home and his second,The Grudge are based to some degree on his Vietnam experiences. Clark has two sons and a daughter. Zachary lives in Port Charlotte, Benjamin in Sacramento, Calif. and Hillary Clark in San Francisco, Calif. This story was first printed in the Charlotte Sun newspaper, Port Charlotte, Fla. on Monday, June 14, 2010 and is republished with permission. just looking around. read your page. brings back 1969. i was at con thien for 13 months. arrived at red devil. was sent to lz sharon for about 2 1/2 weeks, was not too bad there. then an e-6 came and called my name and said pack up, i have a new home for you. droped me off a con thien and said, i have to get back to red devil. less than 20 min. the rockets and mortors started. me an fng did not know what the he!! was going on. i was informed this is your new way of life, good luck hope you make it. needless to say i was shaking pretty bad. i was in a hole in the ground in front of the old concrete bunker at the top of one of the hills. i remember the big red nva flag across the ben hia river. did get a photo of it. god blessed me, i came home. I was your Arty: Recon Sgt. 🙂 Note: In fairness Marine units did still operate all around Con Thien..
Do you remember Friday September 13th. at ‘The Market Place’ just north of Con Thien’, NVA White Flag.. I was at Charlie 2 about 4 miles south of Con Thien from March 1969 to around November with the 3rd Marines. They pulled out and the 5th Mech, Army took over around August 69 so are you sure you were at Con Thien in 68? I was also at Con Thien in late 69/early 70 and I don’t recall any Jarheads. I was Army Fifth Division, 1/61 Charlie Company, mechanized. We probably did more walking that riding, or we got dropped off by the tracks and left out for a few days. I should be fair, the guys got dropped off. I was fortunate enough to be a driver so I got a better deal. I arrived in late January of 70. Took a ride to Con thien aka a4 where joined up with Bravo company. I never saw any marines there either. Johnny, have you heard from anyone else who was with the 108th with us? I was at Con Thien bravo company 5 th infantry. Arrived Nov of 1969 left nov 1970. We were mechanized, 16 apc’s, 4 were mortar tracks, 4 tanks attached to your company. I never saw a marine but I worshipped the ground they walked on. I had heard we had taken overt the AO from the 3rd div Marines but not sure when. Thank you all for your service. I was firing & driving a 105mm Howitzer self propelled. Attached to the 3rd Marines, outside of Con Thien in 1969, we took care of each other, along the DMZ. I was there at that time and remember when Lt Hahn got there in March or April I was also Signsl Corr Radio Teletype welcome home comrade, Happy Thanksgiving. Johnny, this is Bob Hart hope all is well with you and your family.Get a chance drop me a line. I hear you, served Feb. 1969 – Feb. 1970 never knew I had a problem till I retired Jan 2010. Didn’t realizied all the fights and confrontations were PTST. I thought I / we were normal and everyone else was weird. 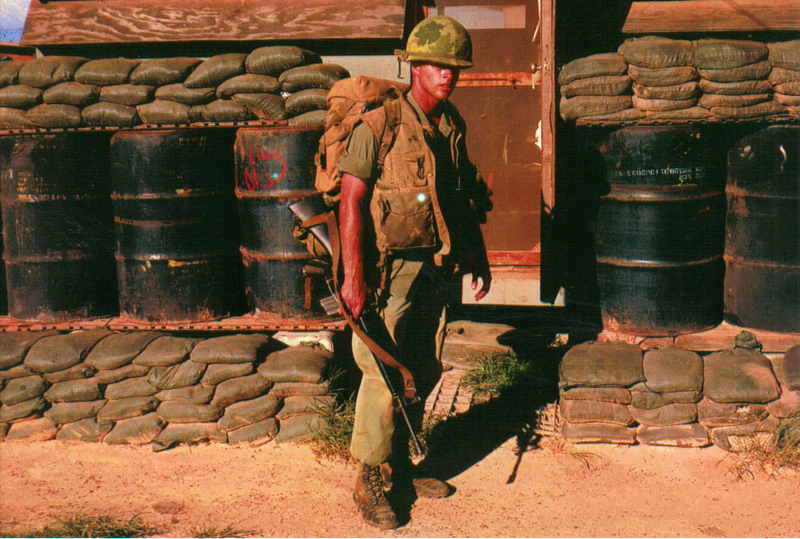 was at con then may 8 67..if you saw no marines there you came too late to help,or have no idea what happened………. I was at Dong Ha 1968-1969 with the 3rd Marine Division. If you didn’t see us there or then, you were in the Rear. (9th Marines , 11th Marines, Ext. ) I was a Lance Corporal at that time. Us Army 108th Artillery Group replaced you guys, thanks for laying the foundation and standards for us; It was an honor to follow the 3rd Marines at Don Ha as Guardians of the DMZ.